As a composer at Methodic Doubt Music, Aaron writes custom scores, sound design and remixes as well original albums for use in film, television, video games, commercials and branded content. His work has appeared in projects for A24, Blumhouse, HBO, Warner Bros., Universal, Disney, Lionsgate, Netflix, NBC, Red Bull and Samsung, among others. Prior to his composing career, Aaron made his mark in the band ISIS (1997-2010), whose heavy, yet ethereal and atmospheric sound ushered in a new subgenre dubbed by the New York Times as “art metal.” ISIS’ albums were consistently lauded by critics across the globe during the band’s 13-year run and in 2017 Rolling Stone named ISIS’ album Oceanic one of The 100 Greatest Metal Albums of All Time. 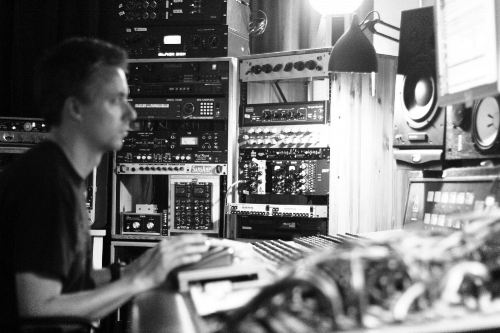 As a producer, Aaron has worked with Puscifer, Spotlights, Deftones, Team Sleep, Pelican, The Jezabels and Jakob, as well as his own bands.